Robert B. Magee is a graduate of Ryerson Polytechnical Institute and the University of Waterloo, and holds a Bachelors Degree of Applied Science in Chemical Engineering. 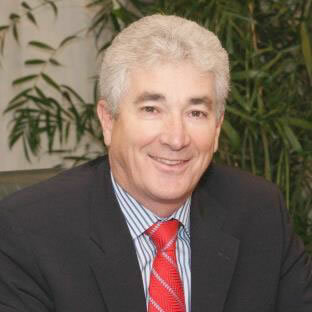 Bob joined Monsanto Canada Ltd. in 1978 in Woodbridge, Ont., as a Process Engineer and transferred to Woodbridge Foam Corporation through an acquisition. Bob started as the company’s first co-op student. After several years each in process, production management and technology management, he was appointed Vice-President of the Moulded Foam Division in 1988. In 1999, he was appointed to the position of President and Chief Executive Officer and in 2008 became Chairman and Chief Executive Officer. In 2014, Bob stepped down as CEO and remains Chairman as he steps toward retirement. The Woodbridge Group is a Canadian-owned, multinational manufacturing company with 62 facilities in 17 countries. He served as Chair of the Human Resources Development Working Group for the Canadian Automotive Partnership Council, and is also a member of McMaster University’s Dean’s Advisory Board, the University of Waterloo’s Advisory Board, and the WB Family Foundation Board. He was a founding Director of the Yves Landry Foundation and is also a Director of Exco Technologies Limited, as well as The Woodbridge Group. Bob resides in Caledon, Ont., with his wife Cheryl. He has three children and two grandchildren.